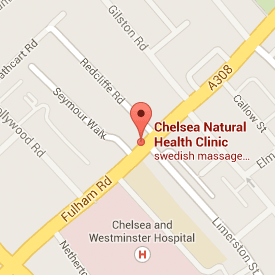 Time Line Therapy With Keith Dorrington at Chelsea Natural Health Clinic. Have you ever had a disturbing or negative experience happen to you? Perhaps this experience occurred recently or may have been long ago, yet the emotions and thoughts associated with this experience continue to affect you. Does this happen to you? 1. To let go of Negative Emotions from the past. 2. To let go of Limiting Decisions from the past. 3. Create our future the way we want it. Time Line Therapy helps you trace a particular negative feeling, belief or limiting decision back to the first time in memory that it can be found and gets rid of the negative emotions associated with it. With the negative emotions gone, you are free to enjoy life once more without the worry of those negative emotions returning. Letting go of limiting decisions, such as I’m not good enough,I’ll never be rich or I can’t lose weight. You’ll feel good and find yourself full of desire to go out into the world and experience those things that you may have been avoiding. Finally, having resolved the unresolved issues in the past, Time Line Therapy offers a specific way of creating our future goals through a simple process which produces results. This involves using our imagination to create a compelling future that is motivating and brings about the desired outcomes. Keith Dorrington is a Clinical Hypnotherapist, Master in Time Line Therapy and Master NLP Coach. If you want to experience for yourself the powerful benefits of Time Line Therapy techniques to create positive and permanent changes then contact 07764 580438 or use the form above to contact me via email.